Neil Gaiman is one of the few authors to transition from comic book writing to being a well-received novelist. In both mediums, he is considered very capable of delivering truly haunting work. Neil Gaiman was born on November 10, 1960, in Portchester, UK. He learned how to read at the age of just four years old. Reading piqued his curiosity on many subjects and it led him to discover unique worlds. Among the most influential works that made a great impression on him while in school was The Lord of the Rings. Two other works that would be profoundly influential on him were The Chronicles of Narnia and Alice’s Adventures in Wonderland. As he grew older, he delved into many classic science-fiction works. 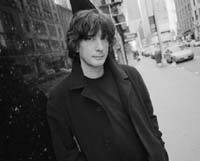 Gaiman pursued journalism and wrote quite a number of book reviews. These early days helped him slowly work his craft at becoming a skilled writer. In 1984, he published the short work of fiction, Featherquest, in a small literary magazine. Also during this time, Gaiman came across the DC comic Swamp Thing, which was being written by Alan Moore at the time. He became a huge comic book collector from this point forward. The works he read had a great influence on his writing abilities. The first book he wrote was a nonfiction affair, a biography of the band Duran Duran. The book sold quite well and Gaiman became an in-demand author with several magazines. Gaiman would become close friends with Swamp Thing writer Alan Moore and took over Moore’s writing duties on the comic Miracleman. DC Comics hired Gaiman and it was at DC where he would write about the ethereal entity known as Dream in the comic The Sandman. Gaiman would write 75 issues of the brilliant series. Gaiman tried his hand at novels to great success. The first novel he wrote was titled Good Omens in 1990. The work was coauthored with Terry Pratchett. Six years later, Gaiman wrote the adaptation of the BBC series Neverwhere. The novel was adapted by Gaiman’s own teleplay for the series. More works followed and in 2001, he achieved his greatest success with American Gods, a huge success from both a critical and commercial standpoint. Gaiman went on to write a number of screenplays. The Polar Express and a co-writing project with Roger Avary on the Beowulf film are two of his most well known projects. Gaiman also wrote for television with Babylon Five being one series for which he crafted a great script. He was also written for the TV series Doctor Who. The future for Neil Gaiman is promising. He is still trying to get his comic series Death: The High Cost of Living produced, although there have been some stumbles with the project. Overall, his work is well-received and commercially successful.